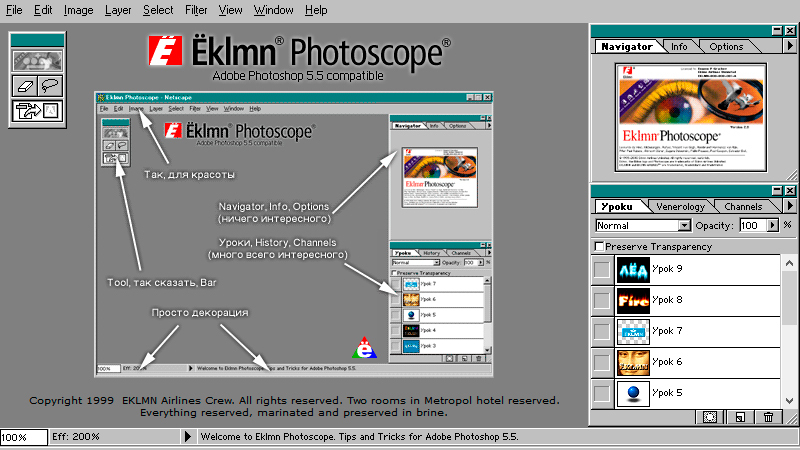 This website was a peculiar addition to ËKLMN and was built with frames. A terrible, enormous, tremendous number of frames. It was very easy to go crazy trying to read the source code and to understand how it works. But at the same time it was possible to click on every button and every tab. This website is still online but is not updated and functions as a nostalgic addition to Grabowski.ru.